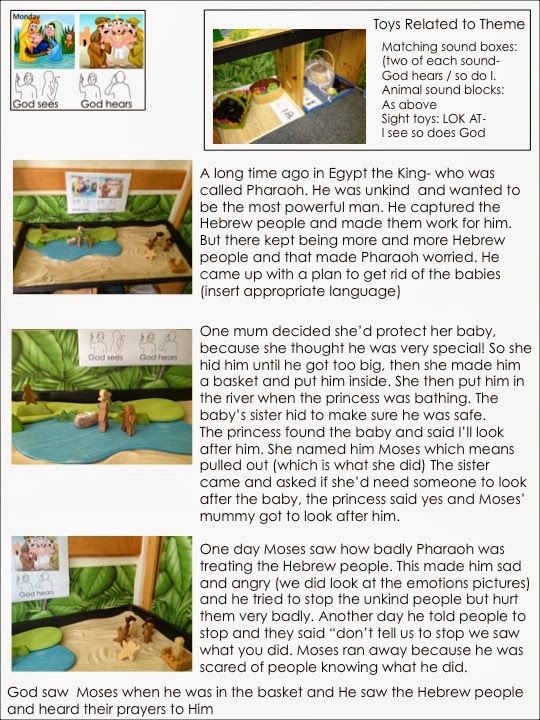 For this holiday club we did the story of Moses. Here are snippets of the story telling and the play to support this. Close Up of the Story Photos. God Hears: Matching two shakers of the same sound, and ELC sound cubes. 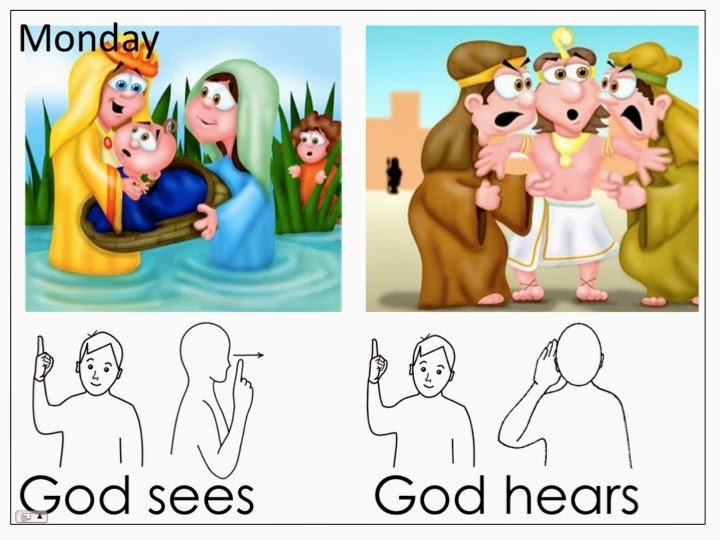 God Sees: Kaleidoscopes, distorting mirrors and lenses, colour paddles and torches.